In The Elements of Cooking, New York Times bestselling author Michael Ruhlman deconstructs the essential knowledge of the kitchen to reveal what professional chefs know only after years of training and experience. 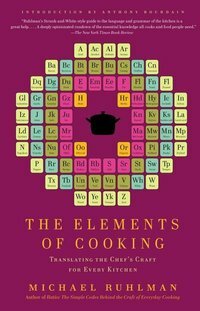 With alphabetically ordered entries and eight beautifully written essays, Ruhlman outlines what it takes to cook well: understanding heat, using the right tools, cooking with eggs, making stock, making sauce, salting food, what a cook should read, and exploring the most important skill to have in the kitchen, finesse. 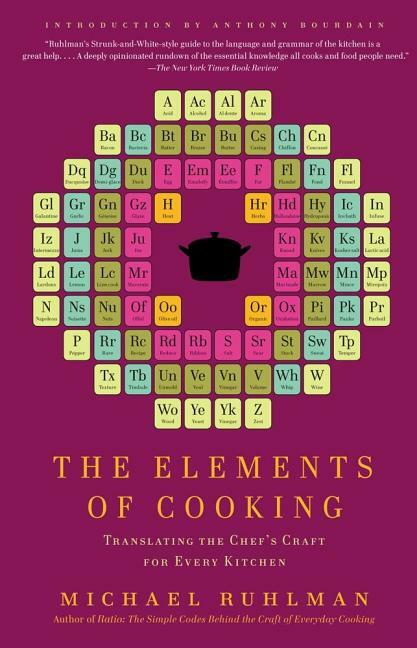 The Elements of Cooking gives everyone the tools they need to go from being a good cook to a great one.